Is it just me or are those daily upgrade notifications for upgrading to macOS High Sierra annoying the bleep out of you? Every time I turn on my MacBook (2017,) it immediately starts up with that exasperating High Sierra notice to upgrade to High Sierra so I can “enjoy the latest technologies and refinements.” And it’s even popping up on my iMac (2015 with Fusion Drive,) that Apple itself recommends NOT updating to High Sierra. And I really DON’T want to upgrade to macOS High Sierra right now on any of my Macs! 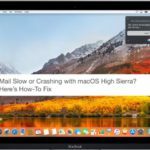 1 Can’t Close or Dismiss High Sierra Upgrade? 3 Option #2: Love DYI? Let’s Leverage It! 4 What’s the Deal With These macOS Notifications Anyway? 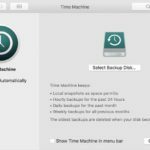 Can’t Close or Dismiss High Sierra Upgrade? Worst of all, there doesn’t appear to be a way to close it permanently. Its only options are Install and Details, no Dismiss or X button available. 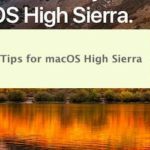 Clicking Install obviously starts downloading and install High Sierra, so that’s not an option. And Details just opens the Mac App Store. 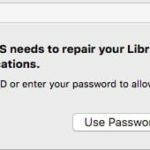 Neither option offers a way to permanently remove that High Sierra Upgrade Notification from reappearing the next time I start up my Macs. What I really want is a permanent way to stop high sierra notifications from showing up at all. So what’s a girl to have to do to get rid of this darn thing? Luckily, after finally getting sick of seeing this notification pop-up for months on end, I decided I had enough and found some ways to turn it off for good–I mean permanently. And it’s pretty darn easy too, though definitely NOT obvious. Why does Apple make the simplest of things so difficult to discover? After spending a lot of time trying things, I came upon the easiest of solutions, all done within the Mac App Store. Option #2: Love DYI? Let’s Leverage It! Some Mac folks just love manually managing their Macs. So for ya’ll, give this one a try and see if it erases that High Sierra Notification for good. Restart and see if the notification is gone! What’s the Deal With These macOS Notifications Anyway? As I recall, earlier versions of macOS or OSX did not have this constant notification nagging about updating your operating system. And after a bit of reading, it turned out my memory was indeed accurate. Breaking that down for us laymen, Apple is by default actually downloading but NOT installing the latest macOS onto your system, without even asking you if you want it! That’s due to a setting in your App Store System Preferences that automatically download newly available updates in the background–AND notifies you when those updates are ready to be installed. It’s the second part of the process that’s responsible for those annoying upgrade notifications! As mentioned, this automatic downloading in the background is set to ON by default when you install or update your macOS. Luckily, turning this setting off is painless and easy! If you get the macOS High Sierra Upgrade notification, just tap on Details. That opens the App Store app. Then simply close the app. 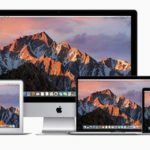 Presto the High Sierra Notification is gone! Apple says they are trying to make things easy when in fact they are making it way too complicated! Thank you SOOO much for a quick fix. thank you – this worked for me! I have a Mac I need to keep at 10.9.5 to use some favorite tools. I assume this is Apple’s way of sneaking it onto anyone who has automatic updates set on. I really hate that annoying popup with no “X” to close it, i.e., you have to open the App Store with the “Details” button and then close the App Store on a more or less frequent basis. Worse, It always raises my blood pressure because of my history with Apple and their “Free OS/X upgrades” scam. I got sucked into that one when I was offered, and regrettably I accepted, a free upgrade from Snow Leopard to I believe El Capitan. It installed it and my performance went into the toilet. So thinking I had no choice, I did what Apple expected from this so-called free upgrade and that was to buy a new Apple computer. I then found my Snow Leopard OS/X disk and reloaded my old Apple with the Snow Leopard Mac OS/X and voilà it worked like brand new. But now I had two Apple computers so I gave the older one with Snow Leopard to my grandson since it was now running fine. Apple may have won this battle, but they have lost the war (at least with me). I now have a Mac Book Air and an iPhone 6S and once they go to the scrap heap, I will never buy another Apple product EVER. I have also told many people this story and will continue to do so. I think what Apple is doing is morally reprehensible if not worse. But in the end, I guess it was my fault. I forgot the age old adage “There is no free lunch” and my “Free” Apple upgrade to El Capitan cost me dearly and increased Apple’s bottom line over the short term. Yeah….good luck with THAT plan. Have fun with Winduhs products. Apple at it’s most annoying is not as frustrating or time consuming as babysitting a Winduhs box. Thank you, the 1st one was the one that worked for me. Finally I get rid off from that annoying notification. The first two options aren’t available in my laptop: no banner and not Bundles dir appear. 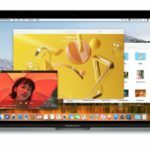 High Sierra 10.13.3 (Do I need to update my OSX in order to see them? 😛 Ironic, right?). Thanks, that ad was really annoying! Tried #1 and it worked (and was very easy). Glad it helped and easy too! Thanks for letting us know. Awesome! using the control click in the banner on the updates section worked great! not intuitive, but worked, thank you! for what it is worth, I have a mid-2011 Mac mini. I updated to high Sierra months ago, but I keep getting reminders to upgrade. I have verified the upgrade worked many times, but it still keeps reminding me. I am at 10.12.6 macOS Sierra. anyhow, I hopefully the reminders go away now. thanks for the help! Thank you so much for this post! I was about to punch my mouse through the screen after seeing that damn notice for the umpteenth time! Solution 1 only removes the upgrade to high os x sierra banner from the app store update screen. Solution 2 only removes the icon from the spam nag notifications. The notifications are still there. Does anyone have a working solution? Hi Mar, Sorry these aren’t working for you. 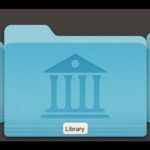 I’ve seen this advice before , but I don’t have a folder called /Library/Bundles, and I’m running High Sierra. That would automatically close open apps that cannot be running while updates are installing, reboot the computer as many times as necessary for the installs, and install all available updates. Basically, I’d say “install updates tomorrow afternoon” , the next day I’d return home from work and the updates are installed and my Mac is at the login prompt ready to be used. “your computer needs to reboot to install updates” ( thanks genius, once again, I don’t care. Just do what is needed and tell me when you’re done. You know “just work” like Apple computers are supposed to! ) . Ah! So Apple learns from Microsoft! Thank you so much for this post. I so much regretted upgrading to High Sierra that I downgraded back to Sierra the other day and then kept getting these notices to upgrade AGAIN that I couldn’t dismiss. You helped make it stop! Now I can relax again. 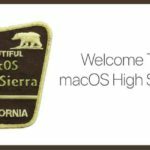 High Sierra is a menace. It made all my browsers glitchy, wouldn’t operate my printer and scanner properly, and worst of all, it slowed down my whole system to where the simplest tasks took minutes to complete and the RAM was always busy. The downgrade took most of a whole day but it was worth it. Now everything’s back to normal! Yikes! I’m glad this article helped get rid of that nag to upgrade. But boy, what a story about High Sierra! 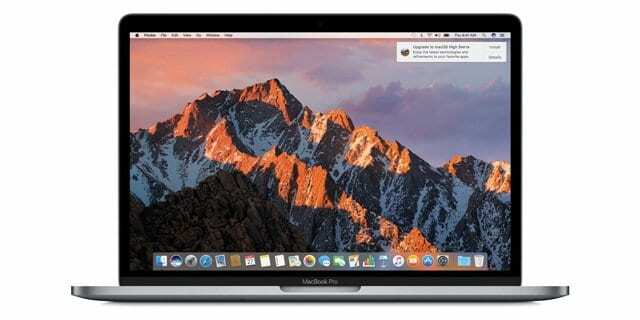 We’ve certainly heard a lot of complaints about High Sierra’s performance from our readers, so it’s good that downgrading is still an option–though time-consuming. Glad your Mac is back to normal! Glad to hear those upgrade nags are no more! This un-dismissable pop-up has been really annoying me too, so thanks for the post. One clarification re Option #1 – When I clicked on the “Details” button, the App Store opened up with a big High Sierra banner that looks like the one in your screenshot but doing a Ctrl-click on it didn’t reveal any “Hide Update” button. I finally discovered that you have to click on the “Updates” icon at the top of the App Store window, THEN it shows another High Sierra banner that DOES have the Ctrl-click Hide option. Thanks Steve for the catch. We’ll update the article to reflect using the Updates tab in the App Store. Sorry about that. It should work—worked On my MacBook (2017) and my iMac (2015). Try again and after making the change, close the Mac App Store and then restart your Mac. If it’s still not working, try Option #2. Keep us in the loop if you are still unable to get that dang High Sierra Notification outta here!